Home » Media » What’s the Objective of Facebook? What’s the Objective of Facebook? Is that its objective? How confident is the four-year-old company that its model will remain successful when out of 110 million active users, it is lauded by a mere 756,000 fans? Moreover, why are there thousands of global developers building third-party applications to run on the Facebook platform? How does Facebook respond to Vasanth Sridharan of Silicon Alley Insider who suggests the new Facebook layout caused the death of widgets and their developers? I’ve been on Facebook since 2005, when the site was only open to people with dot-edu addresses; and because I was in graduate school and had such an email address, I’d heard of it through word of mouth and signed up. The Facebook of 2005 is very similar to the Facebook of today. While the general appearance is the same — we can send messages, upload pictures, write notes, post random blurbs on each other’s virtual walls, and “poke” each other (a concept that has more meanings than I care to go into here) — far more people are using the social network in 2008 than yesteryear. But people are also using MySpace, which Facebook grew out of as a means to offer a graphic-free layout and features not then-available on its younger sibling. But as Sarah Perez opines on ReadWriteWeb today, Facebook is slowly turning into MySpace — and one of the indicators is a new application developer: Yontoo Technologies. Yontoo recently released a product called Page Rage that effectively enables anyone with a Facebook profile to install software onto their computer browser which renders their Facebook profile page (and anyone else’s pages who also installed the software) to look like MySpace. Note how both belong to the same person. 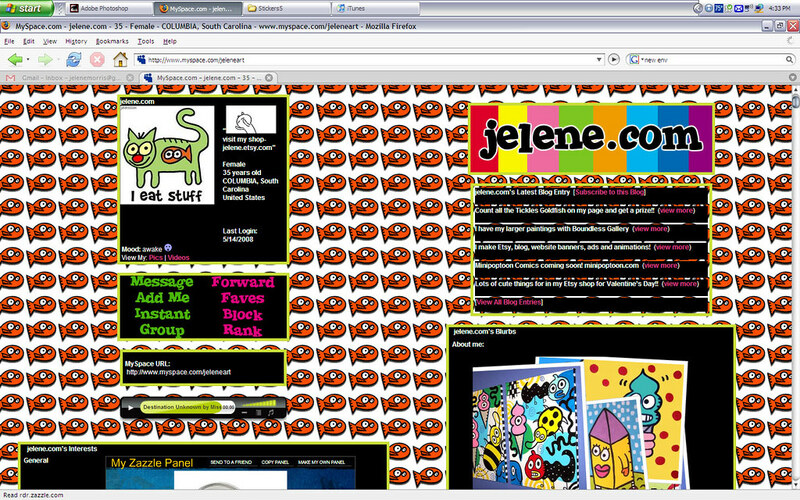 While Facebook forces a universal layout to everyone with an account, Yontoo enables anyone who downloads and installs Page Rage to create a “layer” to transform a Facebook layout to look like a MySpace layout. Oddly, Yontoo also offers a different “layer product” on their website that can transform a MySpace layout to look like Facebook, thereby “removing” the custom border and background. Which brings me back to my original question: What is the objective of Facebook? If widget developers are essentially losing the platform game, are the new developers those who, like Yontoo, can think of ways to redesign Facebook for potential users? This is why Multiply.com has become a leader in the social networking community. You should check it out thoroughly. 10 million users and growing faster now from those leaving facebook and myspace for something much better. And no, Multiply doesn’t immulate those other places. They don’t have to. How confident is the four-year-old company that its model will remain successful when out of 110 million active users, it is lauded by a mere 756,000 fans? You really lost me here. Nearly a million people have joined a fan group and that’s a sign Facebook is failing? As for Multiply. It’s been around since 2004? I never heard of it. That is a bad sign. I have accounts on just about every social network on the planet, friends on every continent and get invites to everything and I NEVER heard of it. Or I heard about it, looked at it and meh, nothing to see here. Linda & Meg: Visiting both of your Multiply sites, I see two different skins. At the surface, it seems that Multiply.com enables one to have a blog with different widgets/modules based on how you want to portray yourself. Or is it more than that? At stake is most of my friends moved to Facebook and they are the reason I remain on FB. A problem with social networks, in my mind, is when the walls are closed. Facebook allows developers to create applications inside their walls, but Facebook doesn't allow its platform to be seen its proprietary domain. Until that happens, I have no choice but keep with the site. Now, if I can have a conversation on FB and view it somewhere else, now we're talking. Gwenny: What's the purpose of Facebook having a fan page on its own site if not to have people become fans? When a small percentage of its user base opt-in to be fans, that's a sign to me. @Ari – Yes, we can choose from many base themes and, if we wish, customize any of those using CSS and html. The privacy features are second to none on Multiply.com . But it seriously attracts adults that are tired of juvenile “pokes” and “cow tipping”. (Ok I made that up – it’s sheep throwing, right?) They want a social networking site for blogging and sharing photos and videos. Not only does the Multiply toolbar keep you updated but now they’ve introduced the new auto uploader and media locker, that takes all the work out of uploading and posting content. It does the work while you spend your quality time at Multiply. And best of all, it’s all unlimited. If you wish to consider Premium, you have unlimited online storage for photos and videos without having to actually post them. This is the latest new feature. Customer support is excellent as well as the User Support Group and other specific help groups for what you need. @gwenny — what did you think of the customization capabilities on the inbox page? which other social networking sites have that much granularity? the inbox is what intrigued me about multiply and what has kept me there. it makes conversations easy to keep up with in a way that no other feed i’ve seen anywhere has done. also @gwenny what did you think of the privacy per post ability that you have with multiply? multiply had that going on long before other social networking sites started adding anything of the sort. one thing that really frustrates me with FB is that i can’t tell, when i’m viewing someone else’s pictures, let’s say, what the privacy setting is. if i reply, who will see my reply? there’s no telling. on multiply, the privacy settings are not only great from the point of view of the person making the post, but from the point of view of the person reading and replying to the post as well. as far as posting in one place and conversing elsewhere… multiply is a walled garden just like facebook is. however, you can post to multiply and have multiply cross-post that entry to several other sites. i know that some people do that who have friends who refuse to leave LJ, blogger, etc. i don’t use that feature myself so i don’t know much more about it. i’ve been encouraging the staff to include some sort of cross-post feature to FB. the only way to really “get” why multiply rocks is to use it. join a few groups, get to know a few people, invite a friend or two that’s willing to try new things out. once you start using the features, you begin to realize how advanced they are compared to other social networking sites. that’s not to say that multiply doesn’t still have its problems. groups, for example, could use some better admin features. but the overall skeleton of the system is so sound that it’s easy to overlook smaller problems. FB, on the other hand, seems to be non-intuitive at the core. @ari herzog. why do you have ‘no choice’ but to stay with Facebook?! Should we all give up inventing 2.0 because no-one can be bothered to try out new services – or should we wait until facebook information can be viewed on other platforms (in which case what’s the point of staying on Facebook?) Have we become such an entrenched group of ‘social network users’ that individuals can no longer look for a niche without fear of social exclusion? Will: I will support your entrepreneurialism and innovation 100% of the way, but I don’t see the necessity for me to create a profile on every new social network that is formed. I would rather see innovation for the networks I am already connected on, which begs the question how and if Facebook can be reinvented not for new users but for the existing 200 million+ users. I think that the buddy system which was created is just awesome. Always hated having everybody know what I am posting even though it is only directed at a few individuals. 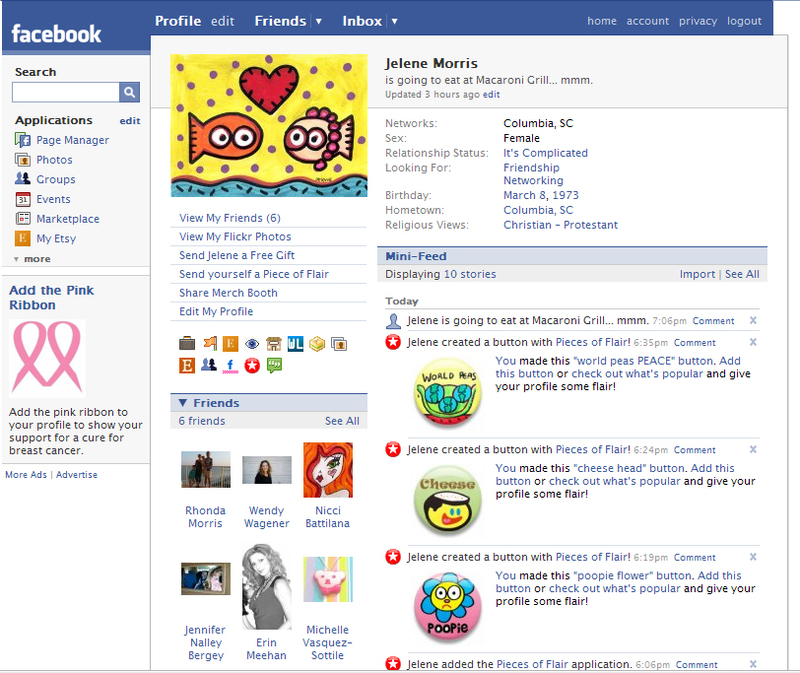 Also the new browser by the netscape guys created around FB is lookings sweet dont you think?